"Professional Disco And DJ Service"
Capital Nightlife are a friendly, professional mobile disco service supplying ANY type of disco event. Recommended by some of the UK's top venues, we also have over 20 years' experience and more than 5000 satisfied customers! 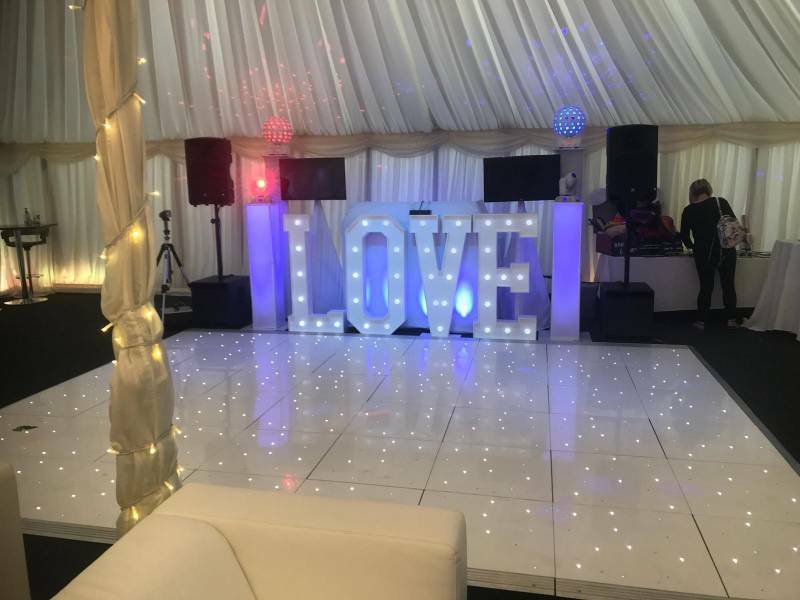 Unlike most disco services we like to give you as much input into planning your disco as you require - you can devise your own playlist entirely, or leave it in our professional hands. 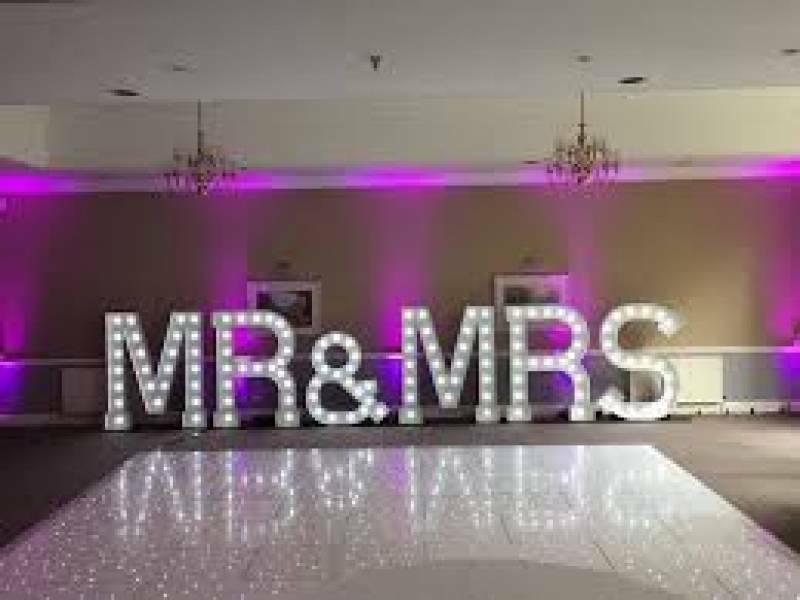 Events we specialse in include: weddings, birthdays, anniversaries, corporate events, themed parties, engagements, Christmas and new year parties. We carry modern professional sound and lighting equipment and set-up tidily and safely, with a stunning look and perfectly balanced sound. At Capital Nightlife we pride ourselves on the positive feedback we receive from delighted customers. A large percentage of our work comes through recommendation and that's a trait we intend to continue. 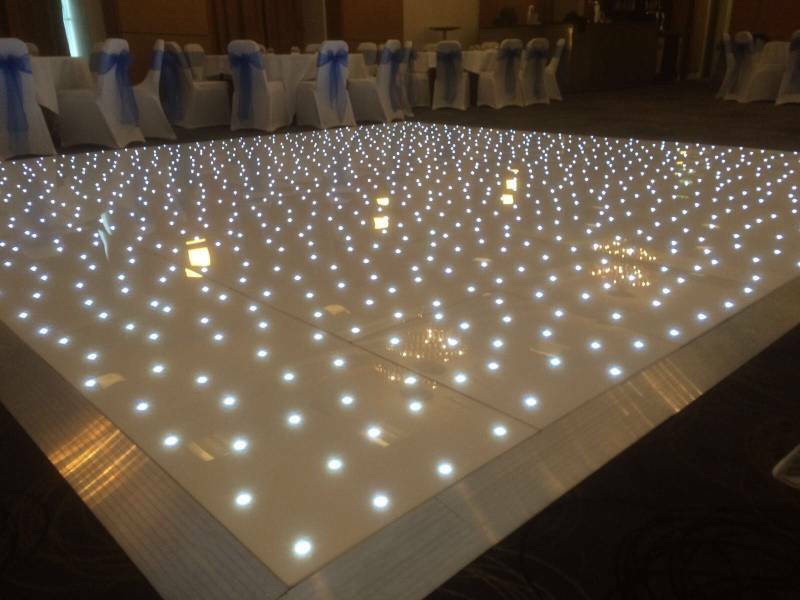 No matter what size or style of disco event you book with us, we'll help you plan it to perfection. Required by many venues, Capital Nightlife has a current PLI policy with Equity in the amount of £10 million. Also required by many venues, Capital Nightlife has supplied satisfactory evidence of holding current PAT inspections of their equipment dated within the last 12 months. A Method Statement outlining Capital Nightlife&apos;s Health & Safety procedure for setting up disco equipment has been provided. Capital Nightlife has provided Risk Assessments undertaken at events sourced via needadisco.com, indicating that they can undertake these competently. 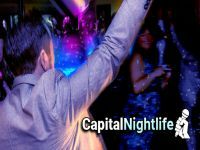 Why do people choose to book Capital Nightlife? Efficient response and was happy to meet with us at the venue to discuss our requirements. Overall impression was the best. We didn’t select by price. Good quote/communication and good reviews. 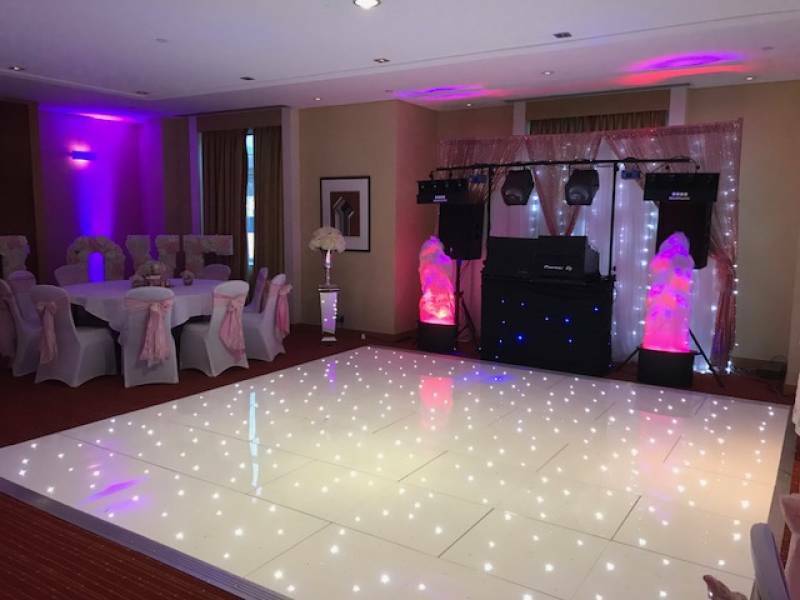 "We were very happy with the exeptional service that James, the DJ, provided. Prior to the event we spoke on the phone several times to discuss the details of the evening, and on the evening itself James agreed to come earlier to set up for a little performance by one of our guests, which we really appreciated. We only wished that the party could have lasted longer!" "It was such a great wedding party, and a real pleasure to DJ for you all!" "This was a celebration for my 50th birthday party and we had specific requirements in terms of the music. James immediately made an impression as he was the first person who offered to meet with us and discuss our needs at the proposed venue. Upon meeting with him our decision was made. James encouraged us to provide a playlist as well as a list of what not to play. We were happy for him to accept requests but at the same time exercise his own discretion to keep people dancing. I was more than happy with this approach as I felt that he completely understood our requirements. This was proven on the night when we had a fantastic evening with a full dancefloor all night. I can’t thanks James enough for what was a birthday celebration to remember, he is a gentleman and I would have no hesitation in using him again and recommending him to anybody seeking a DJ. Thank you James from Carl and Nicki. " 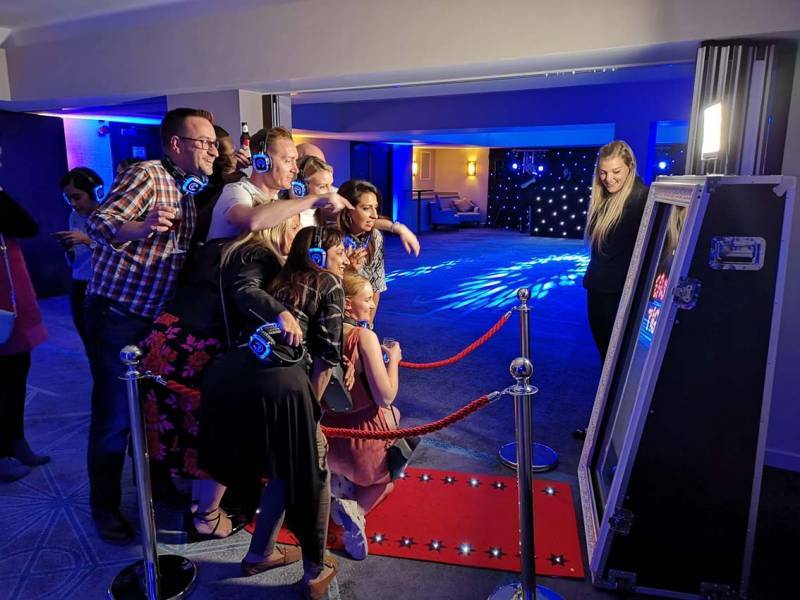 "Hi, it was a pleasure and an honour to DJ for you all at your 50th birthday party, a really lovely bunch of family and friends you have there... glad I could help make the evening one to remember! Best, James." "James was friendly and professional. He played a good range of music, including pre-arranged and on the night requests and I wouldn't hesitate to recommend him. " "Great gig, thanks for booking!" "James was really good and helped make the night a special 50th birthday celebration. He was very friendly and polite, played all the music requested and we had lots of guests commenting on how good he was. We definitely recommend James and Capital Nightlife to anyone who is looking for a DJ for any occasion. Phil and Sally"
"It was a real pleasure!" "James kept everyone on the dance floor all evening, we had given him an extensive playlist and he included all our requests. He also added music in keeping with our playlist which was appropriate to the party guests. 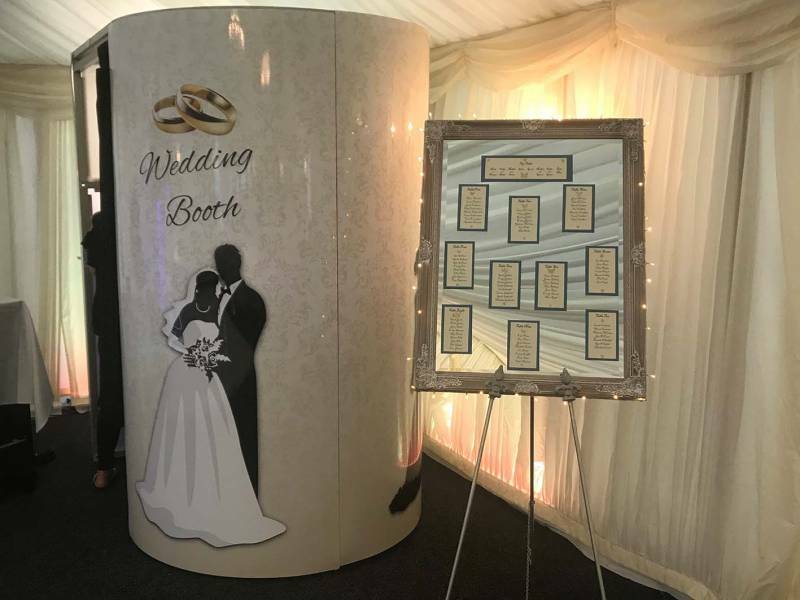 The party was to celebrate our Golden Weddding, many of our guests commented on how good the disco was and how much they enjoyed the evening. I would have no hesitation in recommending James he was very approachable and answered any queries we had promptly." "Another great party, pleasure to be there for you!" "I couldn't have asked for any more really. James provided a great service on the night and was very professional. I selected the majority of the music, but he put it all together, gauged the mood of the room and then supplemented where necessary. I'd recommend him for this kind of event and wouldn't hesitate to book him again. " "Glad to be of service!" "We cannot recommend James highly enough, he is an absolute professional who totally understands what the balance should be between interactions and playing music. He was happy to take on our own playlist with the minimum of fuss and played everything we needed/wanted to be played. James' equipment is top quality, in fact we were surprised at what we got given the price we paid. A total bargain and we will definitely go to James in future for any parties. On top of all of that, he's a thoroughly nice chap too, which is a welcome relief on a potentially very stressful day! " "Wonderful night, great people... pleasure!" "Totally pleased with James's hire. Will book again. Thank you. Vanessa." "James was very friendly and organised. He kept in touch during the booking process and was keen to take on board any requests. He arrived promptly and we had a great evening. Many Thanks." "Lovely to meet you - thanks for booking!" "I could not recommend James more, he absolutely made our night. He listened to everything that we wanted and delivered lighting and music exactly how we wanted it, even though my partner and my music tastes vary considerably he made it work seamlessly. Everyone commented that the music mix was fantastic and fitted for the different ages. James is genuine and charming, we were relieved he was far from a cheesy DJ. He had the dance floor packed all night and it was obvious he is extremely experienced and wanted us to have fun. He also did a lot of preparation to make sure it was perfect for us on the night, all behind the scenes stuff that really makes a difference. Great value for money, highly recommended and a great hit. Our wedding was great." "Lovely couple, thanks for booking me and hope to see you again!" "I recently had a 1940's themed 30th birthday party and James was able to cater for this as well as more current party music as the evening wore on. Very good choice of music, friendly, punctual, I would definitely use again and highly recommend Capital Nightlife for any event. Thank you very much for your services." "Brilliant party and theme, keep in touch!" "I would thoroughly recommend James as a DJ for all events and all age groups and would be happy to use him again for my own future events. He was very professional and nothing was too much trouble. He arrived in plenty of time and was happy to work with our music requests including my daughters 5SOS obsession!! As an added bonus he is a West Ham supporter so if I could give him 6 stars I would :-)." "Many thanks for the lovely feedback!" "Very pleased. Requests were invited and played and a good time had by all. I have been asked by a few people for details as they will be requiring a DJ in the future. Thank you for good music which was key to a good evening." "Thanks for booking, lovely to have met you!" 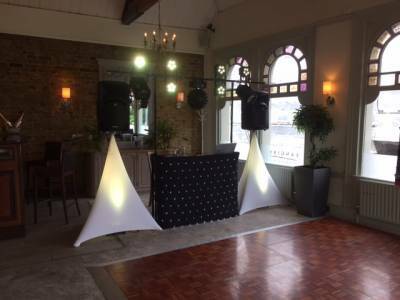 "James provided a fab disco for our 13 yr old twins: well chosen tracks, playing requests from us oldies and managing to get 40 children doing their best moves. Highly recommended." "Great bunch of youngsters, pleasure being their DJ!" 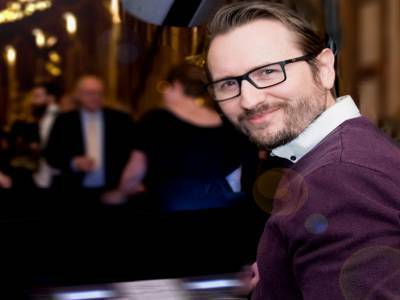 "James was a brilliant DJ for my 30th Birthday Party and such a lovely chap. He is a very reliable and talented DJ. I worry about picking the right music but James knew how to judge the room perfectly for a wide age range and many people commented how good and spot on he was. I recommend James highly and I would definitely use him again in the future :-)"
"Great to be a part of it, glad you had so much fun!" "James Fisher from Capital Nightlife was an amazing DJ. Made my 30th Birthday Party. Great communication before the event. He catered for all ages & the dance floor loved it. He played all of my requests that I asked for beforehand. Everyone had a great evening. Would recommend James for any party. Really great, friendly & reasonable DJ. Will be using him again in the near future!" "Lovely of you to say so... great party and people!" "James was an excellent DJ, used for my daughters 18th, would highly recommend him." "Lovely party, glad I could help!" "James communicated well from the start and was open to suggestions. We hired him for a 60th birthday and couldn't have been more pleased with he whole job. Thank you James!" "Great party, pleasure to be your DJ!" "James DJ'd for my daughters joint 13th birthday party, he was very good and we would definitely use him again." "Lovely to meet you all, hope to hear from you again!" "The DJ I had was great, he managed to meet everyone's requests with the music he played and kept everyone dancing all night. Thank you!" "My pleasure, thanks for using Capital Nightlife!" "James was brilliant, we'll definitely be using him again at some point and recommending him to everyone! Really friendly and helpful and great communication leading up to, and during the night. The music choices were perfect and the dance floor was packed! I can not rate James highly enough & really really pleased that he was part of our evening! Thank you James!!" "Thanks for the lovely feedback, it really was a pleasure!" "I would thoroughly recommend James Fischer to anyone, he certainly read the room well and kept us dancing all night. I didn't want it to end!" "What a great party, lovely to have met you and be your DJ!" "My daughter had a wonderful 16th party. Every time I checked on them there were loads of people up dancing"
"Great bunch! Lovely to meet you all." 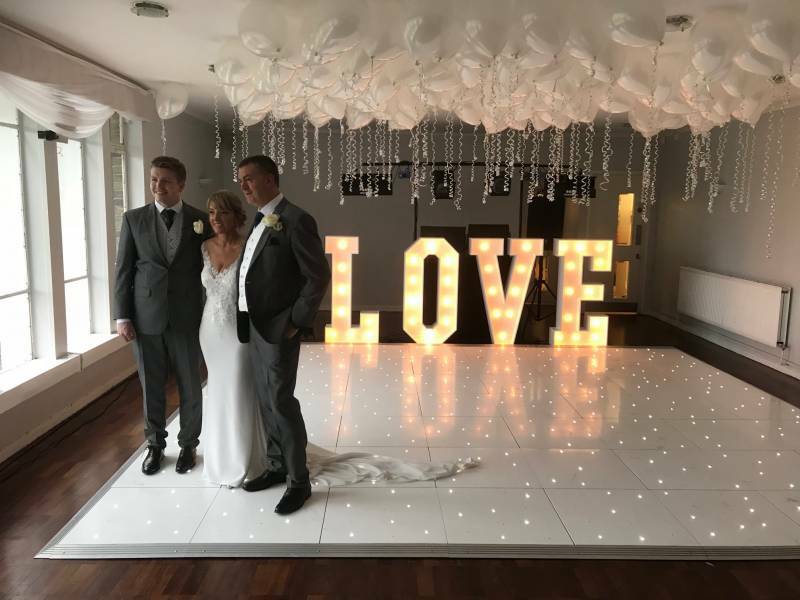 "James was fantastic throughout the whole organisation of our wedding, from the moment we called him to the point he left. He made sure we were totally involved leading up to our reception, making sure we were happy with the playlist we had sent him whilst making it clear we could email him at any point before the reception to add or change it. Then on the actual evening, James was brilliant! Happy to play some background music whilst our guests were eating, use of the microphone for speeches, introducing our first dance all the way through to mixing our essential playlist with others of his choice. Our reception was completely enhanced by Capital Nighlife disco services. Thank you!" "It was a pleasure and an honour to be your DJ, glad I could contribute to your special day!" "James was great. Reliable and played just the right music to make our 13 year old daughter;s party the best ever! A big thank you to him." "You're more than welcome! Thanks again for booking..."
"Jamie was absolutely brilliant. He played all the music that we requested and helped make our wedding evening so special. I would certainly recommend him." "So glad I could help make the day special for you... a lovely crowd!" Capital Nightlife also offers a range of additional party services not directly linked to musical entertainment. Please note that needadisco.com has no editorial control over these images which are stored on flickr.com. If you have any concerns about what you see below, for example potential copyright infringement or unsuitable content, you should take this up with Capital Nightlife directly using the Contact section below, or else you may alert flickr.com directly quoting "set number 72157675599486177". 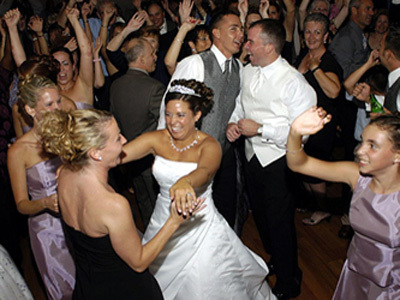 Get FREE no-obligation disco quotes from Capital Nightlife and other DJs covering your venue. Take 2 minutes to fill in some basic details and we'll do the rest! If you are contacting Capital Nightlife about an event, it's always a good idea to include the DATE, LOCATION, EVENT TYPE, AGE GROUP and TIMINGS to speed things up!